Brochures are essential marketing tools. They establish your brand and make you stand out from your competition when done correctly. However, “done correctly” is the crucial part of that sentence. Unless you brochure is well designed and laid out, it is not going to have the impact that you want. This is where Adobe InDesign comes in. It is one of the most complete and flexible applications out there and used by most brochure design professionals. 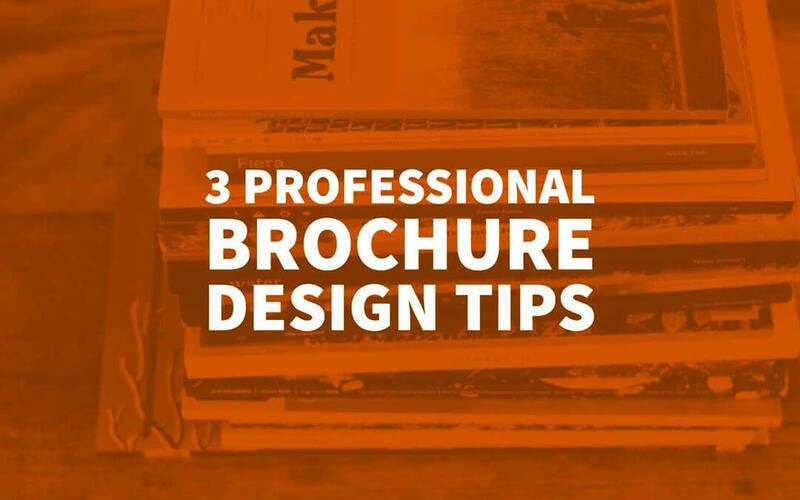 If you are just getting going with Adobe InDesign here are three handy tips to bear in mind for creating professional brochure designs. It is essential to keep the margins and bleeds of the document in mind right from the beginning. The margin will be a design decision. The measurement of the bleed will be taken from your printer. Usually, a 3 mm or a 1/8-inch bleed is sufficient. 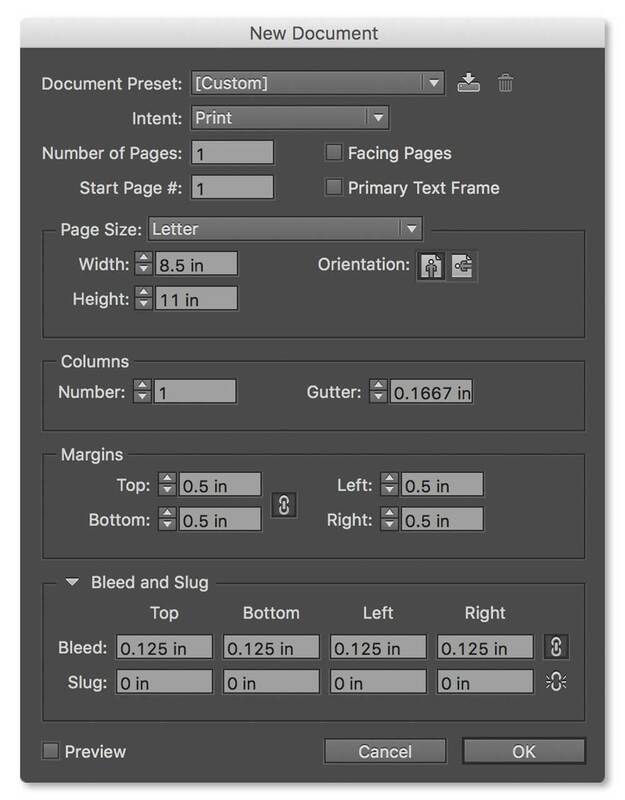 You can set up your document for bleed (and margin) in the document setup box in InDesign, as shown below. When you are creating a brochure with multiple pages, use master pages to save time. Master pages automatically insert standard layout elements into your pages for you. If you apply a master to one of your pages, it will insert all of the elements from the master page on to that layout. This allows you to very quickly and simply add standard design elements to all of your pages giving a consistent presentation and so a very professional feel. The elements inserted from a master page are not selectable by default which prevents modifying the predefined elements on a page accidentally. Here is how you set up the Master Page. Click on the “Pages” palette and click twice on A-Master. Now add all the elements that are to be repeated on most of the pages in your document. You can set up more than one master page which is useful if you have more than one standard which is often the case when creating a brochure design. Drag the Master Pages pane to the Pages pane to apply the master page settings and elements to the new pages. You can also make any page a master page by dragging them to the Master Pages pane. Your content, whether it is text or image, interactive content or database, is placed in frames in InDesign. There are two kinds of frames, image and text. As the name suggests, this is for working with text. Create the shape of the frame and then either type in the text content or merely import text from another document. Image frames work in virtually the same way as the text frame. Create an image frame and then either fill it with colour or add a picture to it. You can also add text and images by simply dragging them into a document. InDesign will automatically create a text or image frame from the imported content. If you are using InDesign, you can import images in many formats including PNG, JPEG, EPS, TIFF, PSD, PDF, and PICT. When you are preparing a brochure for print, you need to ensure that the images are in an acceptable format. A quick tip: Do not expand images to more than 100% of their original size. If the original image size is 3 x 5 inches, blowing it up to 12 x 20 inches will make it pixelated. 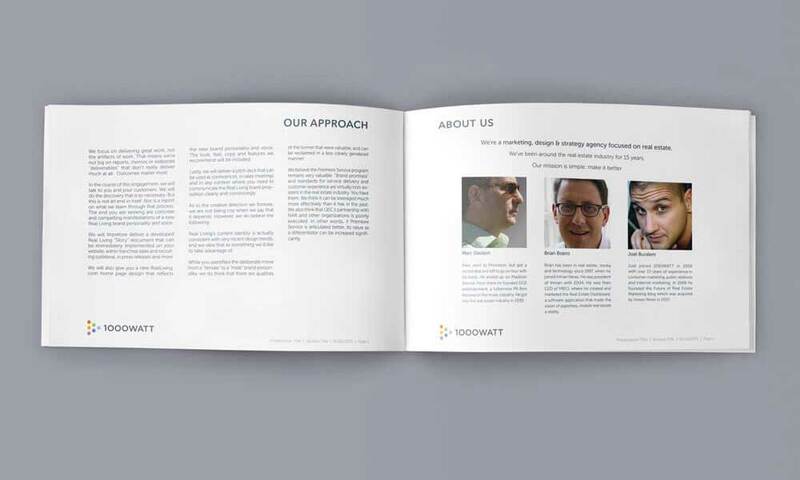 If you are looking for an expert professional to design a brochure for you, please get in touch with Inkbot Design. They are experts in creative branding and graphic design in Belfast. Hi, you’ve provided the great detail in designing a brochure. And it helps me a lot by taking such margins in creating brochure printed correctly. Keep posting. It is absolutely fantastic that this article gives so much advice on how to properly set up margins and bleeds when you’re designing a brochure. After all, it is important to define these margins so that you know where to fold the paper when making the brochure. Setting up these margins are also essential for making sure that everything gets printed correctly.